China completed the construction of two lighthouses in the disputed South China Sea last week, further ratcheting up tensions in the already hotly contested region. The United States, Vietnam and the Philippines have all lined up to oppose what they regard as an aggressive move to reinforce China’s claims to the energy-rich body of water and its vital sea lanes; but according to Beijing, the lighthouses—located on Huayang Reef and Chigua Reef in the Spratly islands—are simply there to “provide efficient navigational aid and route guidance services, and significantly improve navigation safety for passing vessels in the South China Sea,” in the words of Foreign Ministry spokeswoman Hua Chunying. Aids to navigation, however, are not always so straightforward—and China ought to appreciate this more than most. Throughout the country’s modern history, lighthouses have been instruments of imperial control: instruments that projected power as much as light across the unruly waters washing China’s shores. Kungtungtao (Kongtong Dao) Lighthouse near Chefoo (Zhifu), built 1867. Starting in the 1870s, the Chinese Imperial Maritime Customs Service embarked on an ambitious plan to illuminate the empire’s extensive coastline, stretching from the Liaodong Peninsula in the north-east to the tropical island of Hainan. The Customs Service, however, was no ordinary arm of government. Despite falling under the auspices of the newly-established Zongli Yamen, at the centre of the Qing imperial court, the body employed a dizzying variety of locals, Westerners and Japanese. Top management was almost exclusively British, and in the days before the League of Nations it was the world’s first and only international civil service. In the years since it was founded to protect British, French and American trading interesting during the 1854 Small Swords Uprising in Shanghai, the China Maritime Customs had accrued an ever-widening range of responsibilities—ones that would often fall to separate governmental or private entities elsewhere in the world. Emblem of the China Maritime Customs, still in use in Taiwan today. Photo: Keelung Customs. Among these was the agency’s mission to build and maintain lighthouses and other aids to navigation along the China coast, and to survey and chart the empire’s littoral regions. Navigation aids, harbour control, coastal patrols and surveying fell under the remit of the Marine Department. Organised in 1868 and headed by a Coast Inspector, the department’s work was financed primarily by tonnage dues. The Marine Department also dredged channels and maintained buoys, beacons, lightships and lighthouses—facilities in which Chinese ports were woefully deficient. 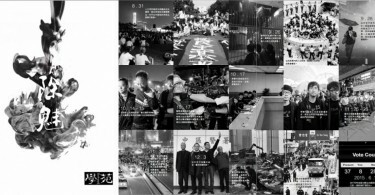 but this temporary solution to the local rebellion would last for close to a century, before becoming the most efficient and effective arm of the Chinese government. By increasing the central government’s customs revenue tenfold, this unique monolith succeeded by serving the Qing Empire’s interests as much as it served the British Empire’s. For the Customs Service, navigational aids such as lighthouses served as propaganda by the deed, presenting the service as a benevolent benefactor to the realm. Whilst the Mandarins dithered, the dynamic, foreign-led Customs made set course on a dead run to modernisation and national self-strengthening. 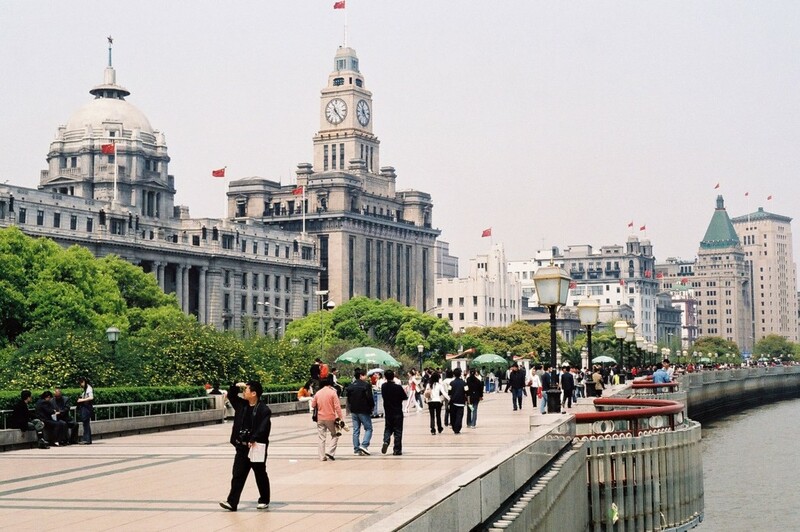 Once Shanghai’s tallest building, Customs House and its clock tower still loom over the Bund. Photo: Wikicommons. By 1892, 104 lightouses, 79 buoys and 58 beacons featured on the Customs’ “List of Lights.” This lantern string festooned along the China coast was significant not just for that country: it was part of a Transportation Revolution reshaping the world. The proliferation of navigation aids such as lighthouses, reliable charts and pilotage books, alongside advances in steam-propeller technology and new international agreements on maritime conduct, made transporting goods by sea safer—and cheaper—than ever before. As steamers became faster and their journeys less perilous, greater certainty meant low-cost shipping, accelerated foreign trade and more affordable goods for all—a raising tide that truly lifted all boats. Over a century before the People’s Republic joined the WTO, China was already plugged into global trade networks like few other nations outside the industrial West. 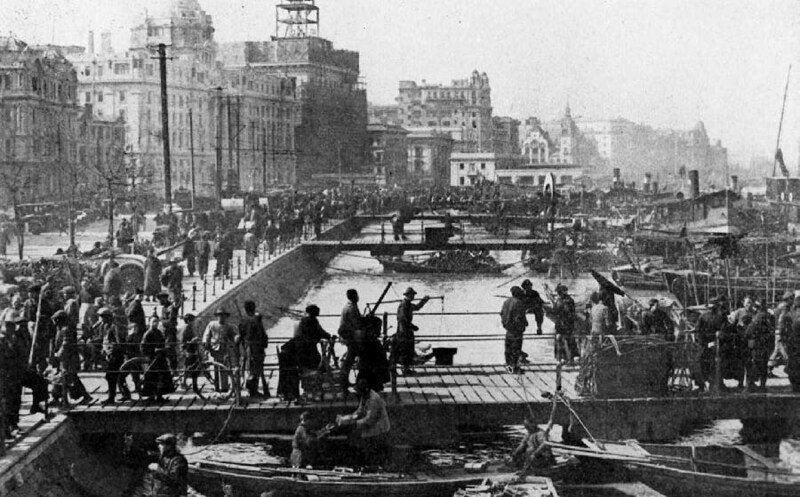 Berths along the Huangpu River in Edwardian-era Shanghai. 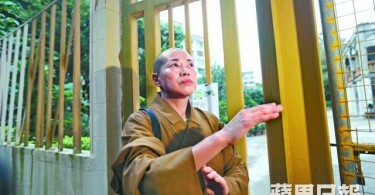 Photo: Xinhua. Lighthouses are deceptively simple structures, forms of which have guided mariners to safe harbour since the days of Alexander the Great. Behind this ancient idea, however, lay some of the nineteenth century’s most cutting-edge science and technology. ‘The Great IG’ Sir Robert Hart caricatured in Vanity Fair, December 1894. Photo: Wikicommons. From the chemical and manufacturing techniques capable of producing high-quality, clear glass with just the right shape and angles, to the physics, material science and engineering needed to toughen them against harsh climatic conditions, these ‘Sentinels of the Sea’ were shining examples of what the scientific age could achieve. Intricate steam-driven machinery rotated the light regularly whilst precision optics ensured that a beam of light could be thrown across the sea for miles and yet not blind sailors. Erecting these lighthouses, all of them distinguishable from the other by mariners from around the world, was a huge undertaking—and the need to man and service the structures year-round meant that it was only the beginning. China Maritime Customs lighthouses shed light on more than the dark seas lashing distant shoals. They also collected complex meteorological data using precise barometers, temperature and rainfall gauges as well as wind-strength meters. Customs Inspector General Sir Robert Hart envisioned that this would form the basis of the country’s first weather forecasting service; and although he did not win the backing from Beijing to realise this dream, he worked with Jesuit astronomers in Shanghai to turn lighthouse data into China’s first typhoon-warning system. By the dawn of the twentieth century, however, the Customs Service looked less like a benevolent benefactor and more like a vehicle for Western imperialism. 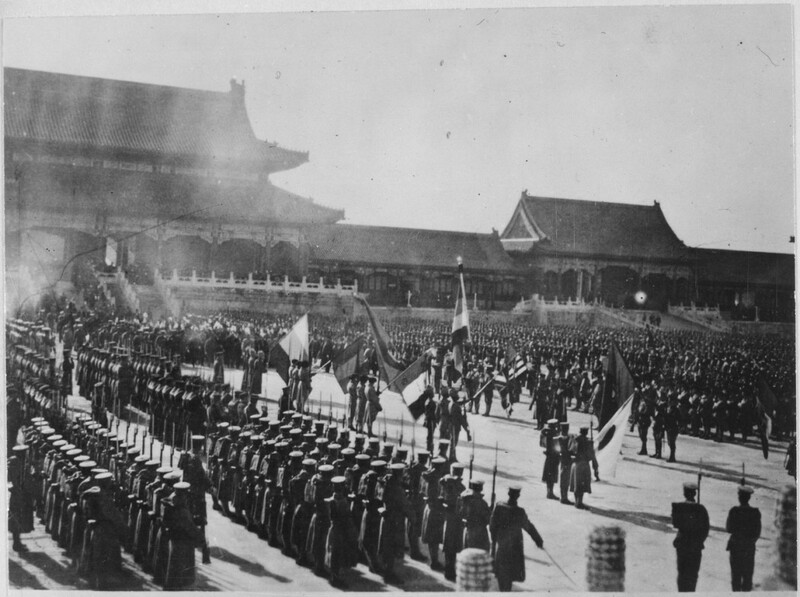 Foreign armies assemble inside the Forbidden City after capturing Beijing, November 1900. Photo: Wikicommons. The conclusion of the Boxer Protocol in 1901 meant that more and more Customs revenue was siphoned off to pay astronomical indemnities owed to the Western powers plus Japan, whose combined Eight Nation Army had launched a costly expedition to rescue their nationals from anti-foreign Boxer rebels. Sir Robert Hart had sought mutual benefit wherever possible, driven by the unshakable belief that Britain and China’s interests were one and the same. When he passed away in 1911, a few short weeks before the dynasty he served came crashing down, a new breed of Inspector General took the helm: Sir Francis Aglen. Unlike his predecessor, Aglen did not flinch to put British interests above Chinese interests. 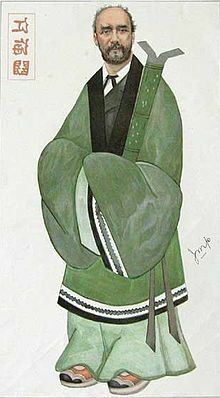 After the fall of the Qing dynasty, he diverted Customs revenue to an account at the Hong Kong and Shanghai Bank, rather than remitting them directly to Beijing. As a consequence, the Customs establishment, which provided half of the government’s expendable revenue during the tumultuous Warlord Era, exercised a de facto right of investiture over the succession of shaky regimes to inherit the capital. More than ever, the Chinese Maritime Customs Service needed projects such as harbour works and navigational aids to point to as proof of their positive impact. 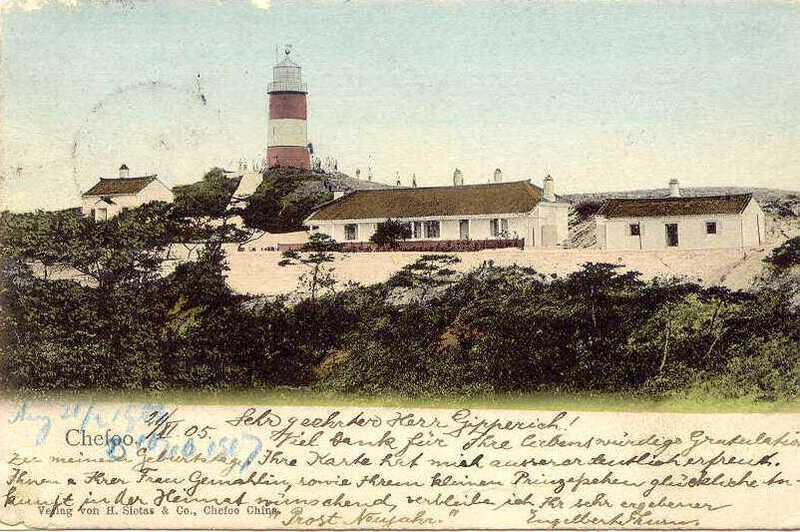 As the example of Taiwan proves, however, the strategic use of lighthouses to advance imperial interests and claims to sovereignty was not monopolised by the West. Japanese illustration depicting the Battle of Stone Gate, fought against Taiwanese aborigines in 1874. Photo: Wikicommons. In the nineteenth century, the island of Taiwan was still an untamed frontier zone for the Qing empire. It had been incorporated into the Chinese world for the first time a little over a century earlier, after Ming dynasty loyalist Koxinga (Zheng Chenggong) defeated a Dutch garrison to establish the island as a base of Ming loyalists, harrowing the mainland until the Qing vanquished his descendants in 1683. Thereafter, Taiwan, a mere appendage tacked to south-eastern Fujian province, was left to a trickle of Hokien and Haka migrants and the indigenous tribes that had called the island home for thousands of years. After Japan sent a punitive expedition to the island in 1874, ostensibly to avenge shipwrecked Japanese sailors massacred by aborigines, China became acutely aware of the island’s precarious situation and the need to reinforce their sovereignty with military force. To this end, the Qing erected South Cape (now Eluanbi) Lighthouse on the island’s southernmost protrusion in the early 1880s. Eluanbi Lighthouse in southern Taiwan. Photo: Wikicommons. This was no ordinary lighthouse, however: South Cape featured an armoury and was encircled by a brick wall with loop holes for guns, a 20-foot ditch and barbed wire fencing. Eighteen-pound cannons, a Gatling machine gun and a mortar—all state-of-the-art military technology—meant that the lighthouse was also a fortress. After all, this was still contested territory; and the lighthouse served to to strengthen Beijing’s claim against that of both native Taiwanese tribes and the expansionist ambitions of their rising neighbour to the east. 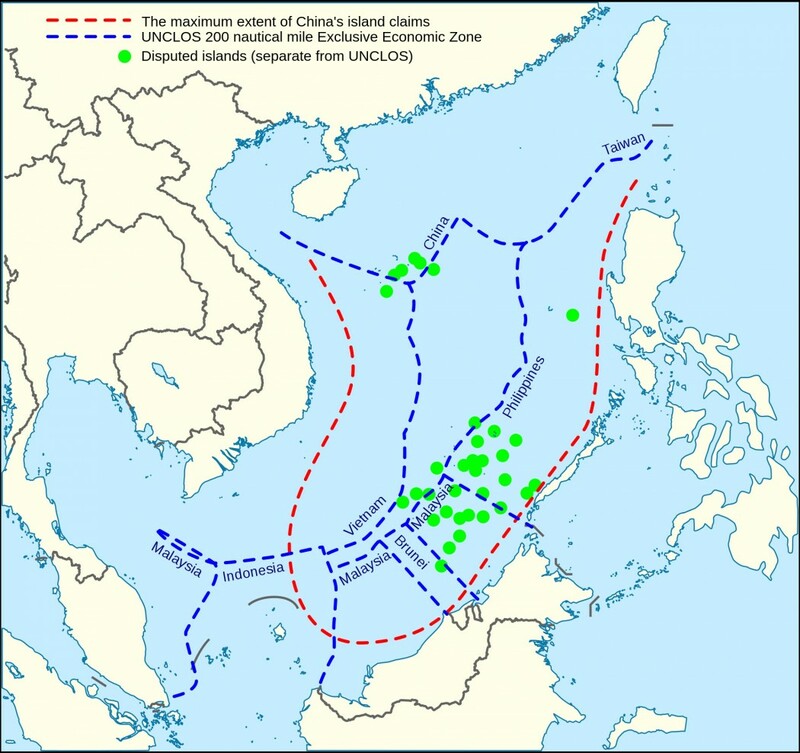 Beijing’s claims in the South China Sea. Photo: Wikicommons. For over a decade, observers have warned that the expansion of China’s infrastructural basis in the South China Sea has demonstrated the methodical nature of the country’s southward advance: each incremental stage serving as a base for the next step forward. Irrespective of China’s intentions or the legitimacy of their claims, the story of the Maritime Customs Service makes one thing clear for all to see: there has never been anything inherently innocent about a lighthouse—least of all in Chinese waters.